We are Direct Supplier & Exporter from Guntur like Red dry Chili & Chili Powder, Turmeric Finger & Powder , Coriander Seeds & Powder and all other indian spice Masalas. 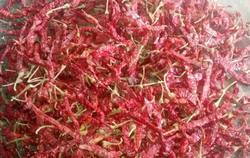 We supplied seven variety of Red chilies. One of the chili is :"BYADGI STEM AND STEMLESS" We are searching the buyer world wide. Our Byadgi Red Chilli is 100% natural and known for its mouth tempting aroma. On the other hand, our Byadgi Red Chilli is free from contamination and rich in taste that is admired by our respected patrons. Byadagi chilli is an important ingredient in spicy preparations like Bisi bele bath, sambar, chutneys and other food items of South India and is widely used in the Udupi cuisine. 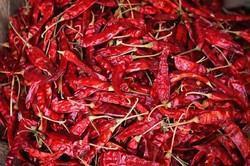 It is also used in meat preparations because of the bright red color that it imparts to the meat.